“Our Universe is very complicated, and many scientists spend their entire lives trying to unravel its greatest secrets — in fact, many of these secrets are yet to be uncovered. But don’t worry, Professor Astro is here to help, and I am just about the cleverest alley cat you’ll ever meet! So batten down the hatches and buckle up, it’s time to blast off and discover Professor Astro Cat’s Frontiers of Space!" Avery and Nate have fallen in love with the professor and his space-exploring ways. 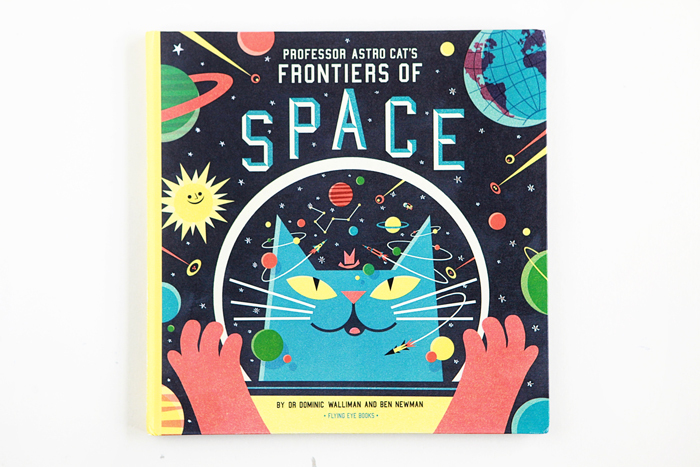 Professor Astro Cat’s Frontiers of Space, by Dr. Dominic Walliman and Ben Newman, is an amazing beginning compendium of all things space, thoughtfully written and researched. The illustrations are retro but new, and the content is super engaging. Definitely a must for every library. 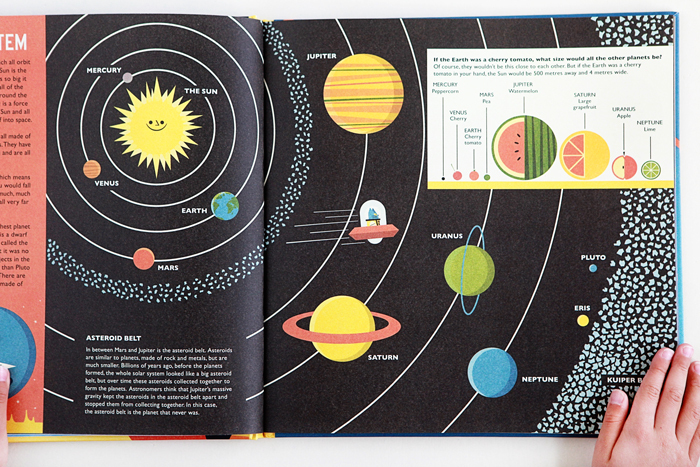 I appreciate the time it took to put together such an amazing reference on space, and look forward to reading it with Avery and Nate over and over as they begin to grasp what is beyond them and their planet.